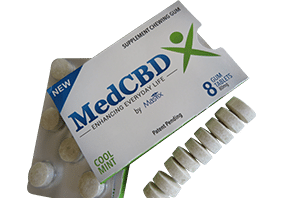 We’re MedCBDX, and our focus is on innovative CBD products for pain that bring the big benefits of cannabidiol to more people, more easily. We are owned by Mastix LLC – a leader in functional, niche healthcare products, including dietary supplements, functional chewing gum, and medical confectionery. Our team has created two incredibly unique CBD-infused products that deliver safe, concentrated doses of CBD for relieving normal aches and pains, and as a mood enhancer for normal stress and anxiety. We’re the only manufacturer in the United States with the ability to infuse CBD oil in a chewing gum. Our innovative healthy chewing gum delivers CBD effects directly to users through a patented method that’s proven to absorb quicker, and more effectively, than most standard products. It’s also a much more convenient delivery vehicle. With gum, oral absorption facilitates a higher bioavailability, and is delivered up to five times faster when compared to pills or capsules. Our gum chews, and tastes, the same as typical confectionery chicle gum, making it an easy and preferable alternative for the 40% of people who have an aversion to, or experience discomfort, when swallowing pills. 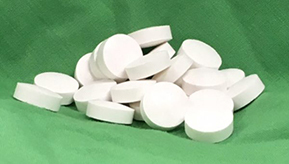 Our lozenges are tablets (mints) that dissolve in the mouth over a period of time, usually 5 – 7 minutes. Fast dissolve tablets are placed under the tongue and dissolve quickly for sublingual absorption. These dosage forms provide an alternative, efficient delivery of ingredients for the 40% of people that do not like swallowing pills. In addition to our gums and lozenges, we also offer businesses premium white label products and exclusive private label products. We’ll work closely with you to develop your very own CBD-infused gum and lozenges for you to sell in your own retailer. 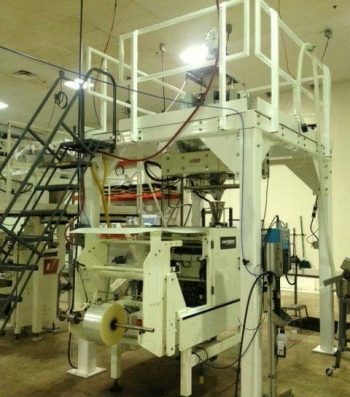 Using our unique patented extraction process, we take care of everything from the development to the manufacturing. With our exclusive CBD patent, our company manufactures a product that delivers CBD benefits in a way that cannot be replicated elsewhere. 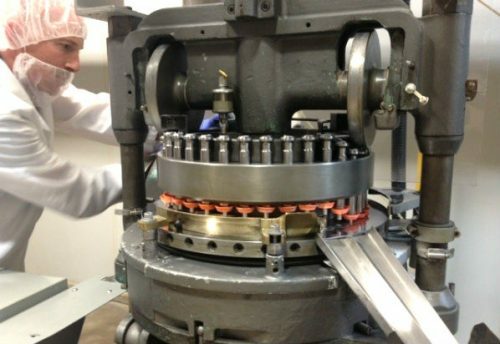 The benefits to our unique manufacturing process extend far beyond what we’ve already accomplished. Thanks to our patent, we’ve been afforded the ability to create functional chewing gum with a wide range of custom, active ingredients. Our CBD infused products are specially designed to bring the benefits of industrial hemp to consumers in a way that isn’t just novel, but also quicker and more effective than other methods of consumption. Explore our website to learn more about MedCBDX and our ground-breaking products. If you have any questions for us, send us an email at info@mastixllc.com, or call us at (410) 316-1080 x 100. Formulated Infused Hemp Oil Chewing Gum (U.S. Patent No. 9,744,128), infused with hemp oil which is rich in cannabidiol (CBD). Lozenges are easily dissolved in the mouth for fast absorption within 5 – 7 minutes.